Bethseda’s Fallout Shelter is a companion game to the incredible console and PC title Fallout 4. 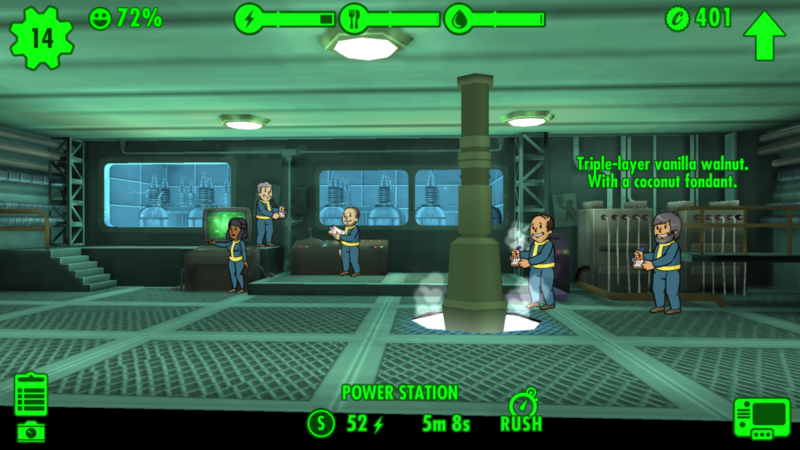 Available for iOS and Android, Fallout Shelter puts players in the role of Vault Overseer—basically the leader of a community of dwellers inside the fallout shelter. 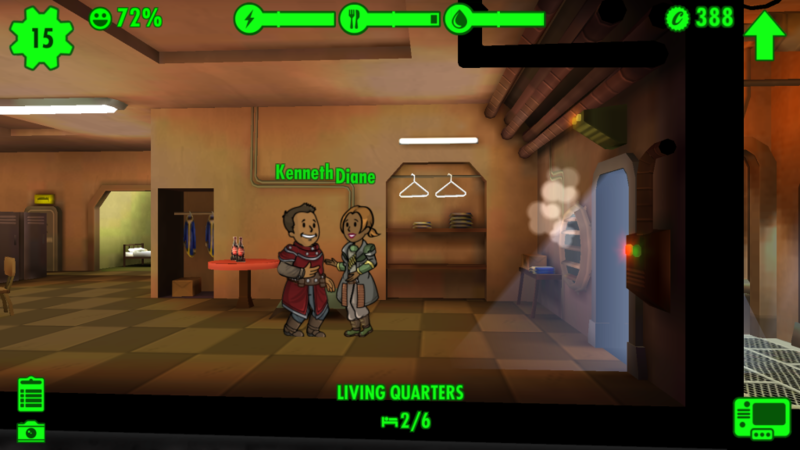 Since your vault dwellers are your main resource, you’ll need to assign them to specific rooms in the vault to keep the vault active. You’ll build rooms such as living quarters for dwellers to breed, power room for electricity, filtration room for water, etc. Needless to say there’s quite a bit to do in the game outside of structuring your vault. You’ll monitor your dwellers’ status and stats, gear them up with weapons and armor that could boost some stats, and send them out into the wasteland for resources and bottle caps (currency). In addition to this, your dwellers will also defend the vault from raiders and other enemies. When rooms are unused or unoccupied you could end up with a radroach problem to combat. In sending your dwellers into the wasteland, you will be able to call them back to the vault, but make sure you send them off with medicine. Dwellers will improve stats from the task you’ve assigned them in the vault. 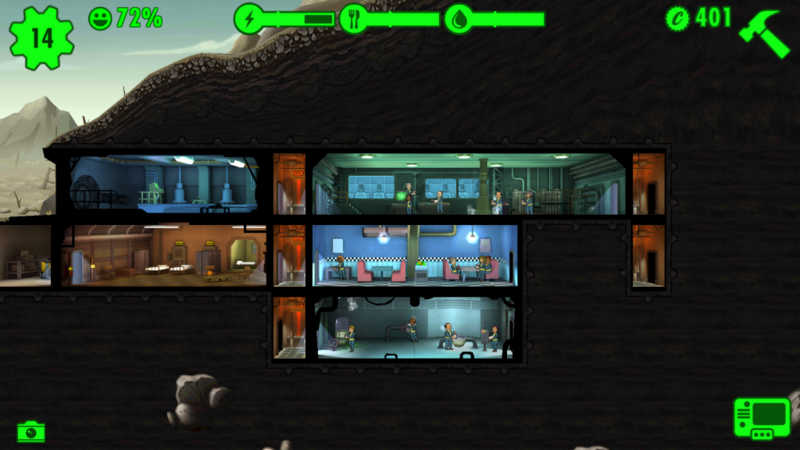 Gameplay isn’t the most difficult thing since it is a mobile title, but there is a good amount of strategy required in managing your vault and the needs of your vault dwellers. While there are in-app purchases, they’re not necessary to enjoying the game and advancing which is a huge plus over a number of mobile titles.